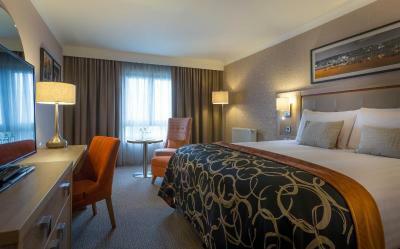 Lock in a great price for Clayton Hotel, Manchester Airport – rated 8.4 by recent guests! It felt a bit outdated, it could use some renovation. Good wifi, excellent gym, decent breakfast and airport shuttle. The perfect layover place. for a one night stay due to early morning flight. This hotel was perfect! Bar/restaurant was exactly what we needed after a long train journey. The rooms were spotless and great size, with the comfiest bed ever!! Breakfast included was perfect before heading to airport via the free shuttle, which was so easy and stressless, the driver went above and beyond giving us airport advice. Breakfast was great and the bed was definitely comfy! Reception staff pleasant. Clean. In bedroom no foldaway small table to put case on. Case had to be opened on floor or place case on bed. Restaurant food was very good and service was professional. 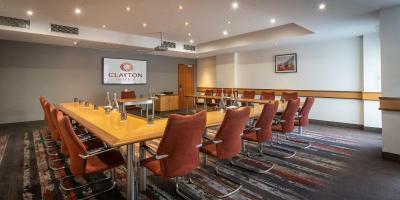 Clayton Hotel, Manchester Airport This rating is a reflection of how the property compares to the industry standard when it comes to price, facilities and services available. It's based on a self-evaluation by the property. Use this rating to help choose your stay! 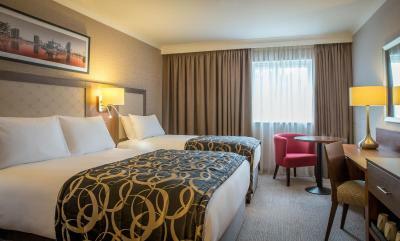 Ideally located next to Manchester Airport, just a few hundred yards from terminals 1 and 3, this hotel offers a 24-hour free shuttle service, long-stay parking, and modern rooms with free WiFi. 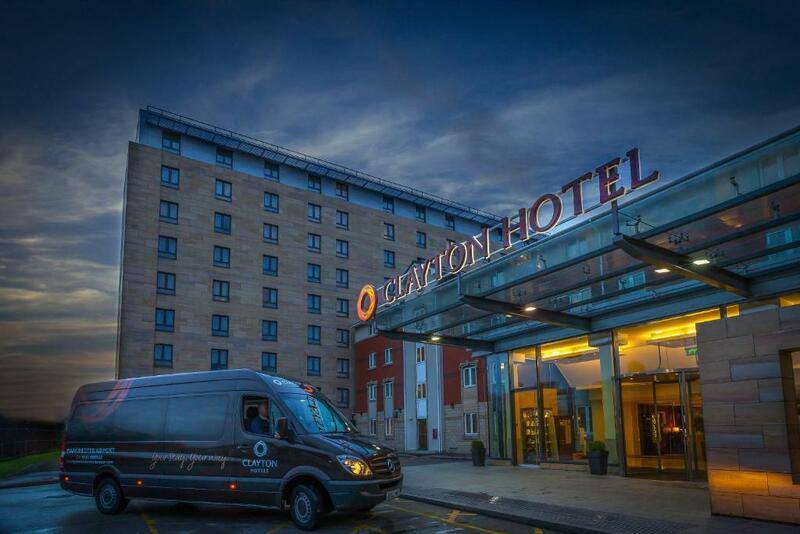 Each fully soundproofed room at Clayton Hotel, Manchester Airport is bright and spacious and features a private bathroom with a hairdryer, power shower and Clayton toiletries. Rooms also include a TV, tea/coffee making facilities, and a work desk. 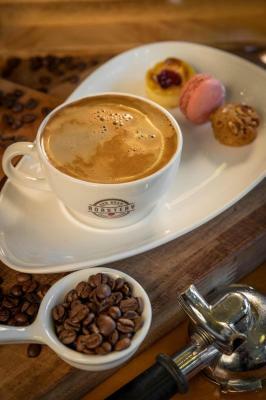 The restaurant offers relaxed dining, and guests can enjoy breakfast, lunch and dinner during their stay. The signature Clayton Vitality breakfast is available from 05:30 and a Grab & Go breakfast can be arranged for those with an early flight. 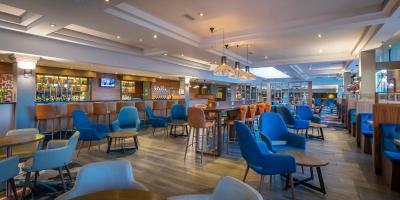 The Lounge Bar offers light bites, meals and a full bar service. 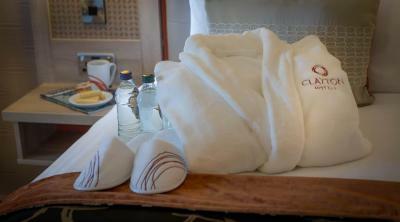 There is also 24-hour room service available with Clayton Delivers. 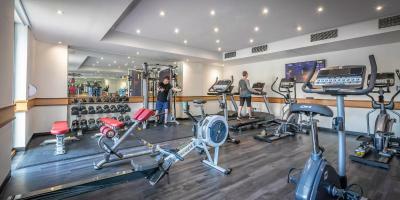 The well-equipped gym, which includes a flat-screen TV and water cooler, offers an air-conditioned place to exercise in. Manchester Airport Rail Station is a 5-minute walk away and a 5-minute journey using the complimentary shuttle bus service, while the M56 motorway is easily accessible, just a 2-minute drive away. 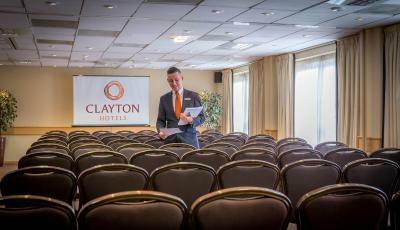 When would you like to stay at Clayton Hotel, Manchester Airport? This room offers WiFi, a flat-screen TV, tea and coffee making facilities, iron, ironing board, hairdryer and private bathroom with a shower and bath. Airport parking available on request. Private parking is available at a location nearby (reservation is not needed) and costs GBP 15 per day. This room can sleep 2 adults and 2 children and offers WiFi, a flat-screen TV, tea and coffee making facilities, iron, ironing board, hairdryer and private bathroom with a shower and bath. Room with parking for up to 15 days. 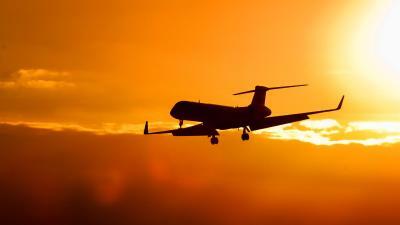 Complimentary airport shuttle transfers offered 24 hours a day. Secure off site parking is included, the car is removed on the day of arrival. Superking bed with custom Clayton mattress and bedding, safe, Sky TV in each room, Krups coffee machine, mini fridge, USB charging points, flat screen TV, WiFi, work desk, blackout curtains, iron and ironing board and en-suite with bath and shower. Clayton toiletries and towels are included. Room with parking for up to 8 days. Complimentary airport shuttle transfers offered 24 hours a day. Secure off site parking is included, the car is removed on the day of arrival. Room suitable for 2 adults and 2 children, with parking for up to 8 days. Complimentary airport shuttle transfers offered 24 hours a day. Secure off site parking is included, the car is removed on the day of arrival. Room suitable for 2 adults and 2 children, with parking for up to 15 days. Complimentary airport shuttle transfers offered 24 hours a day. Secure off site parking is included, the car is removed on the day of arrival. Room with two single beds with parking for up to 15 days. Complimentary airport shuttle transfers offered 24 hours a day. Secure off site parking is included, the car is removed on the day of arrival. Room with two single beds with parking for up to 8 days. Complimentary airport shuttle transfers offered 24 hours a day. Secure off site parking is included, the car is removed on the day of arrival. Air conditioned room features a King bed with custom Clayton mattress and bedding, a safe, USB charging points, flat-screen TV, free WiFi, a work desk, blackout curtains, tea and coffee making facilities, iron and ironing board and en-suite with bath and shower. Clayton toiletries and towels are included. Air conditioned room features a double bed and single bed with custom Clayton mattress and bedding, a safe, USB charging points, flat-screen TV, free WiFi, a work desk, blackout curtains, tea and coffee making facilities, iron and ironing board and en-suite with bath and shower. Clayton toiletries and towels are included. 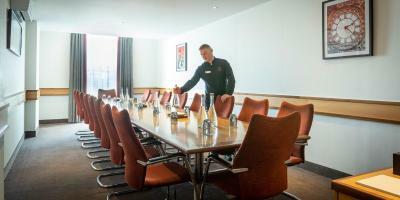 House Rules Clayton Hotel, Manchester Airport takes special requests – add in the next step! Clayton Hotel, Manchester Airport accepts these cards and reserves the right to temporarily hold an amount prior to arrival. Park, Stay & Fly Packages are calculated from the day of check-in up to and including the day you return. Vehicles are moved off site to a secure car park on the day of arrival and the off-site car park is approximately a 20 miles round trip. Should you wish for the car to remain onsite at the hotel there is an additional cost. Please contact the hotel directly for more information. Room had been used after cleaning. Rubbish left in the bin. Hand soap in bathroom had been unwrapped and used. Room decor tired, ready for refreshing. Bar staff seemed disinterested, maybe due to the customer turnover? Meal was plain and way overpriced for what was delivered. Pillows very uncomfortable Bathroom smelt stale and of urine...looked clean but smelly Prices generally gone up....i usually use Clayton but will need to shop around in future. 2 nights one at £140 ( not worth that amount) and £95 on return. Would expect breakfast included for that price. Staff were amazing, hotel was beautiful, room was very well made up and clean. Parking facilities for holiday were the attraction. Paid in full before we arrived however hotel still took a ‘holding charge’ out of my bank account (£50) after I’d paid the full cost! When I rang to ask why the women said she couldn’t see why this had been taken from my account! Room was excellent, breakfast was super. Our stay was very brief, just overnight prior to an early flight, so we didn't use any of the facilities offered by the hotel. Therefore I cannot really comment in this section. The room was clean and comfortable, with everything we needed. The shuttle service between the hotel and terminal was excellent, prompt and quick. Noisy room near front of building. Location great as we were flying out early morning, and free shuttle. The room was a little too warm, but that's just our preference and I don't think other people would have been worried by that. We had a very quiet night and so although very early leaving in the morning we felt as good as it was possible in the circumstances. Did not have breakfast as we were flying at 6.00am. We had a meal in the evening (not in the restaurant) in the bar area and the food was very good, if slightly pricey, but service was excellent. Shuttle service in the morning was excellent. Our daughter drove us to the hotel and dropped us off in the late afternoon. Easy to get to (we have been before) and she was able to leave immediately as she dropped us off right at the door. Very comfortable beds. Friendly efficient staff. We enjoyed our meal in the restaurant. Fixed price menu was good value and choice. Smell in room of food. Barman didn't let us know there was a vending machine with crisps when we arrived late and were desperate for snack. TV did not work. Room very dated, in need of upgrade. Brilliant receptionist (he's recently just started doing night shifts) very welcoming.